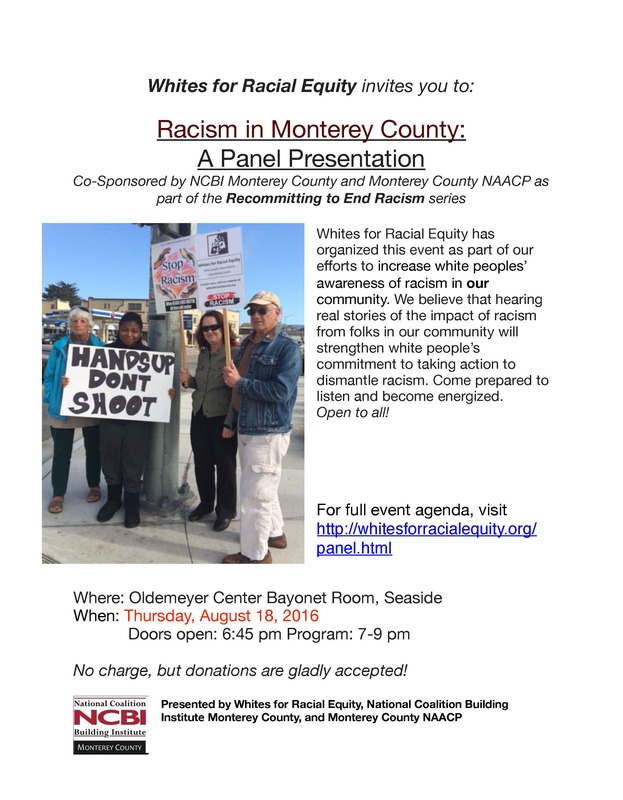 Join Caroline and Ann, Whites for Racial Equity, NCBI Monterey County, and Monterey County NAACP on August 18 from 7 – 9pm at the Oldemeyer Center Bayonet Room in Seaside as they hold a panel presentation to help increase white peoples’ awareness of racism in our community. 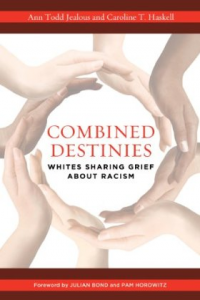 This event is part of the Recommitting to End Racism series and open to all. 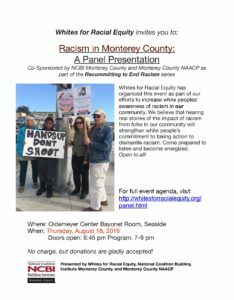 No charge, donations will be accepted.